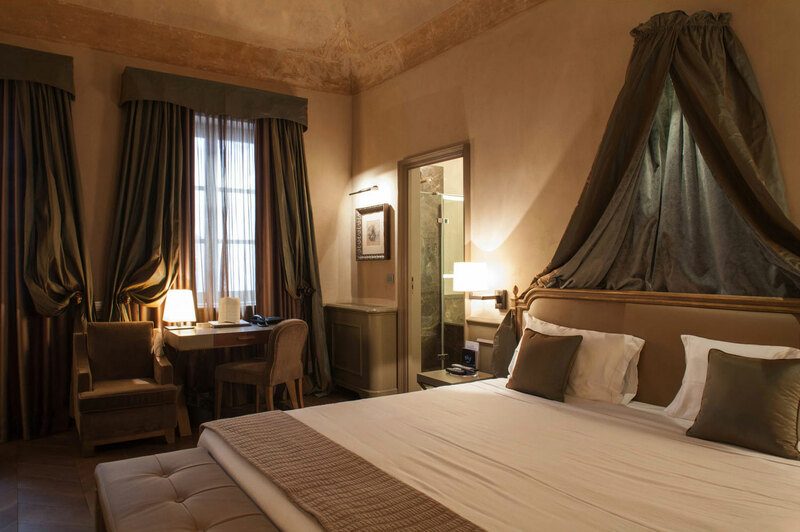 start your day at the Noble Floor of the Palace, stopping at the first sun in the Loggia, overlooking the courtyard and enjoying a delicious and rich breakfast in the Party Room. 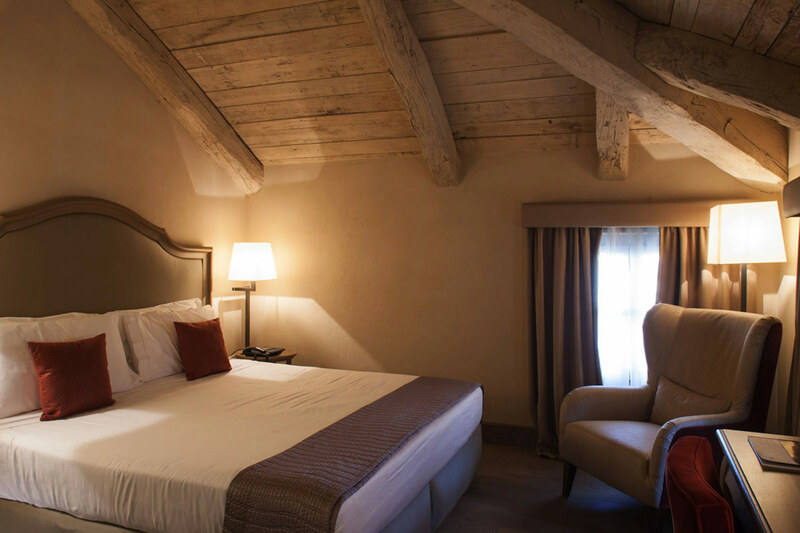 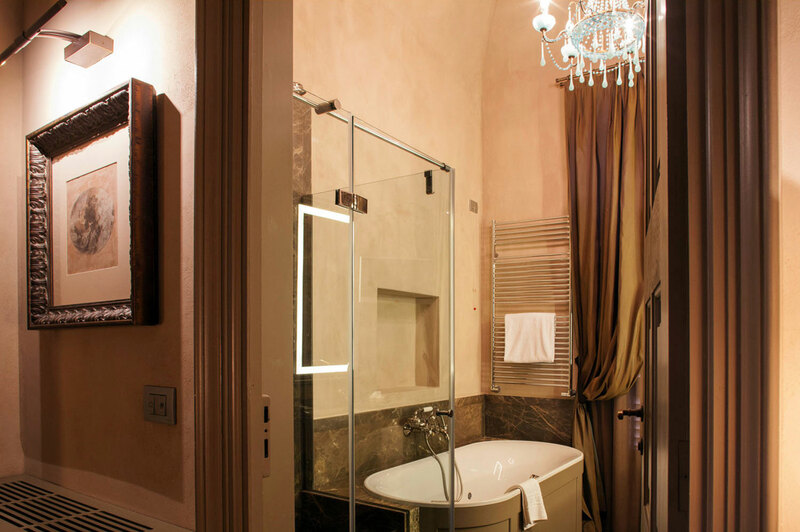 The Doubles Rooms of Palazzo Righini have an antique flavor, a discreet soul and the warm tones of the pleasure of giving hospitality. 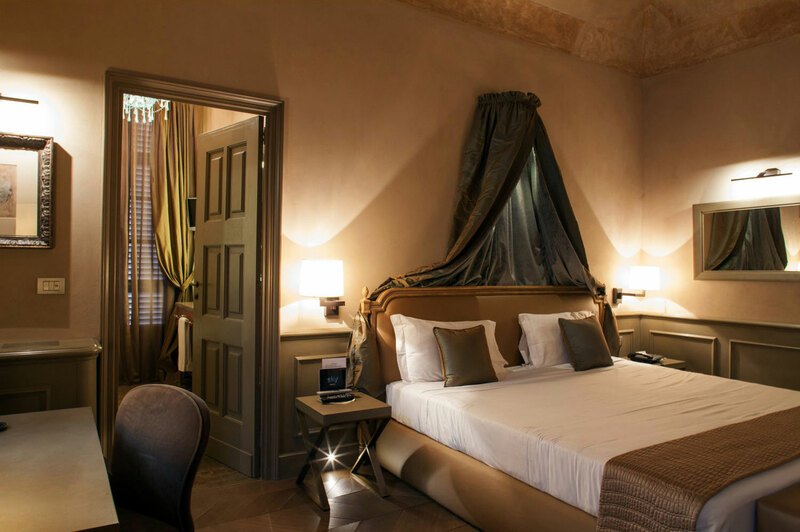 Each room hides small treasures: a period wardrobe, a vaulted ceiling, a fresco, a message sculpted in the carvings of the woodwork, a sparkle of silver, a wood floor from bygone days, marble and clear crystals , a particularly wonderful view of the rooftops of the historic center, very absolutely romantic surroundings, soft walls and excellent technology, to be inspired by. 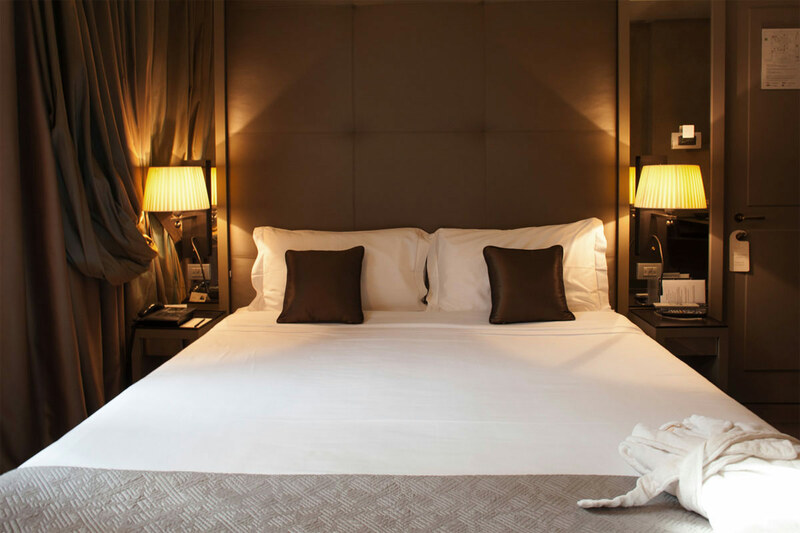 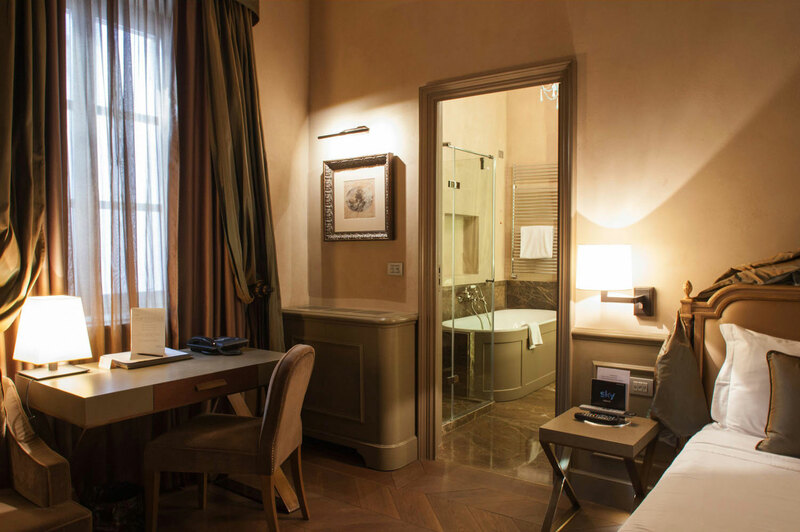 Every Double Executive room at Palazzo Righini is unique, refined and elegant and will make you enjoy the beauty inherited from history and the creative inspiration with which every single detail has been designed and crafted. 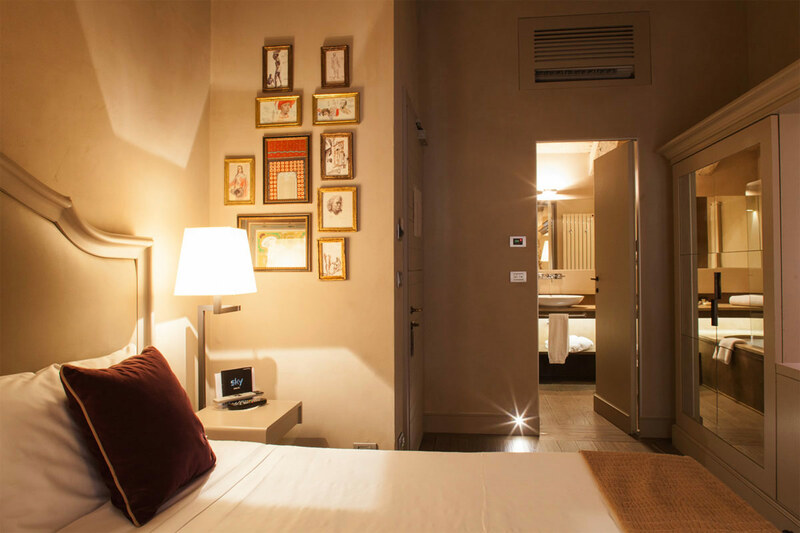 Some of the rooms have mainly a contemporary style, while maintaining the taste of the antique. 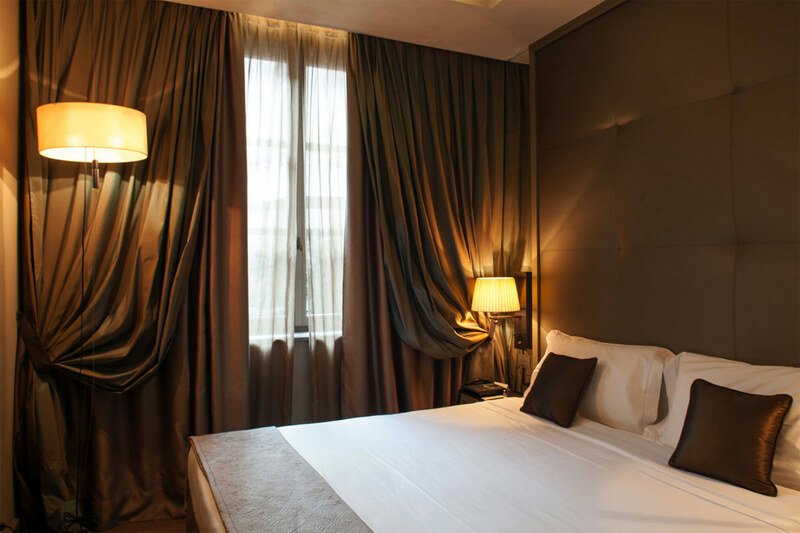 In others, there is an enigmatic balance between past and present. 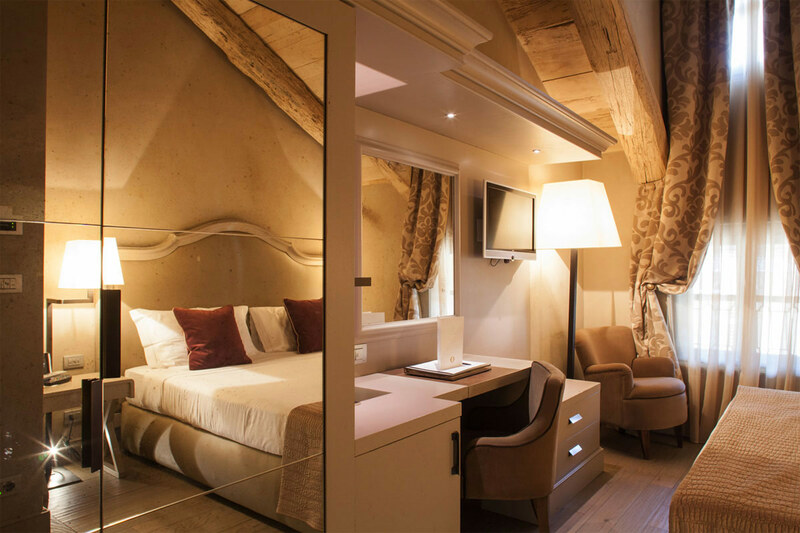 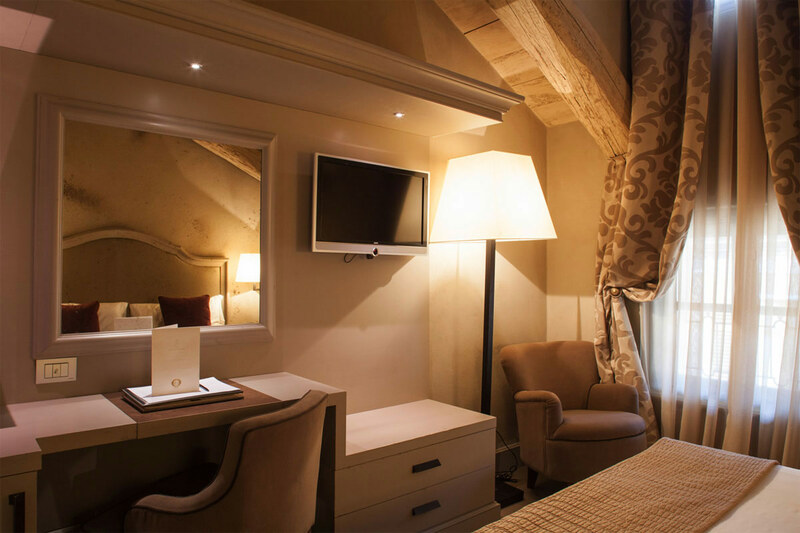 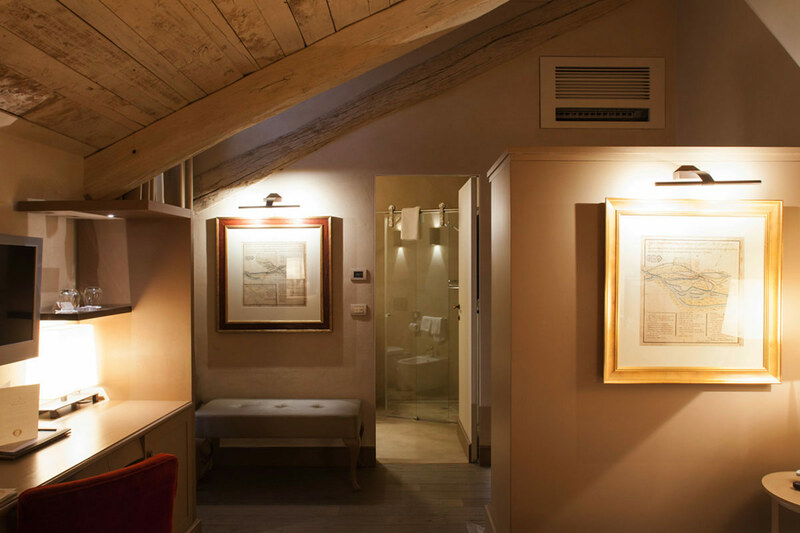 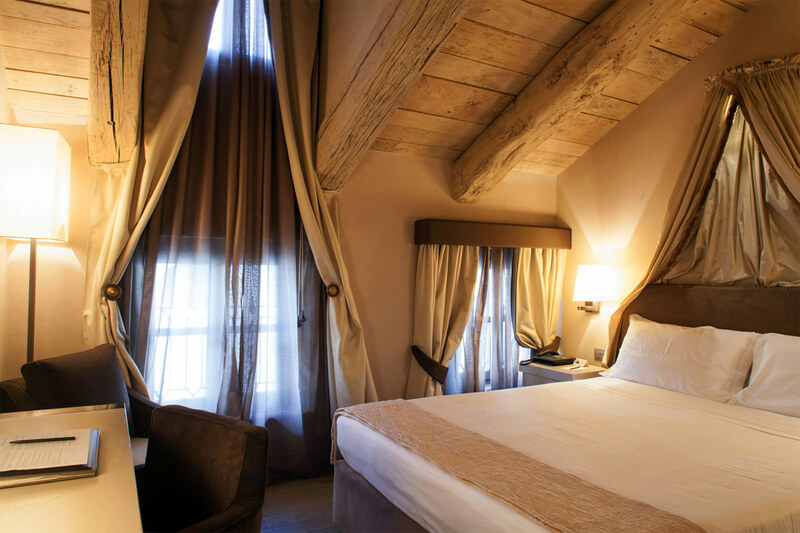 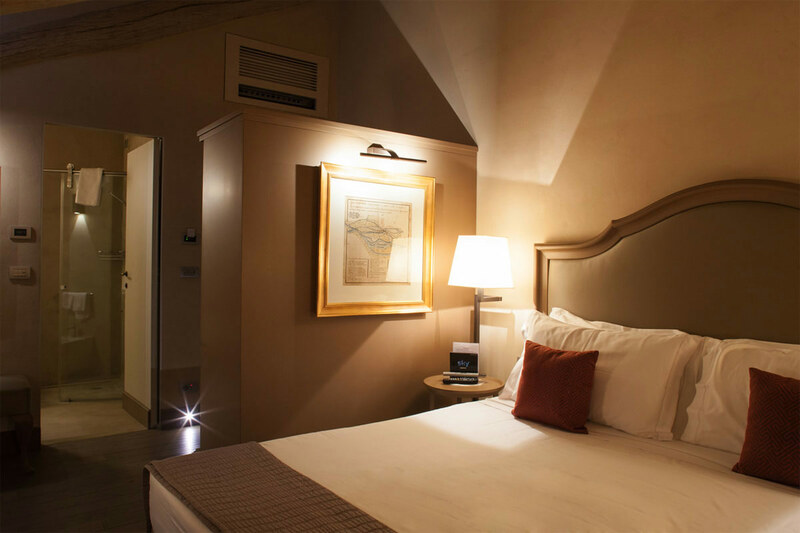 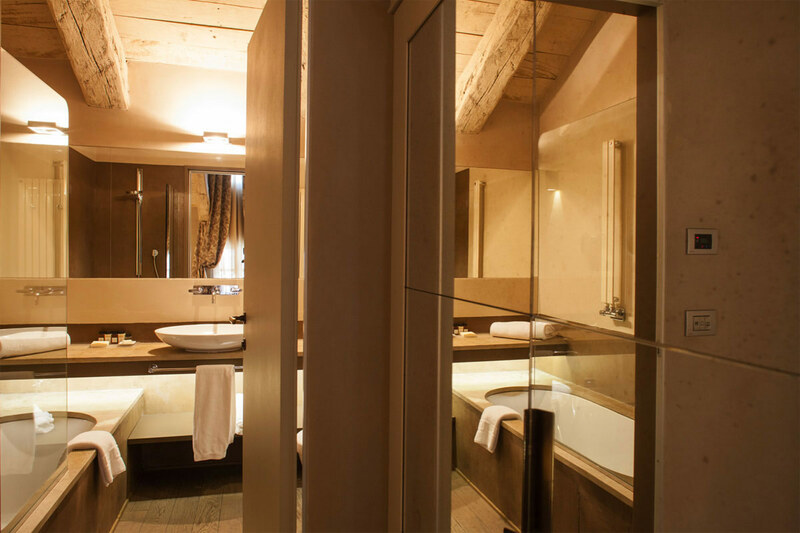 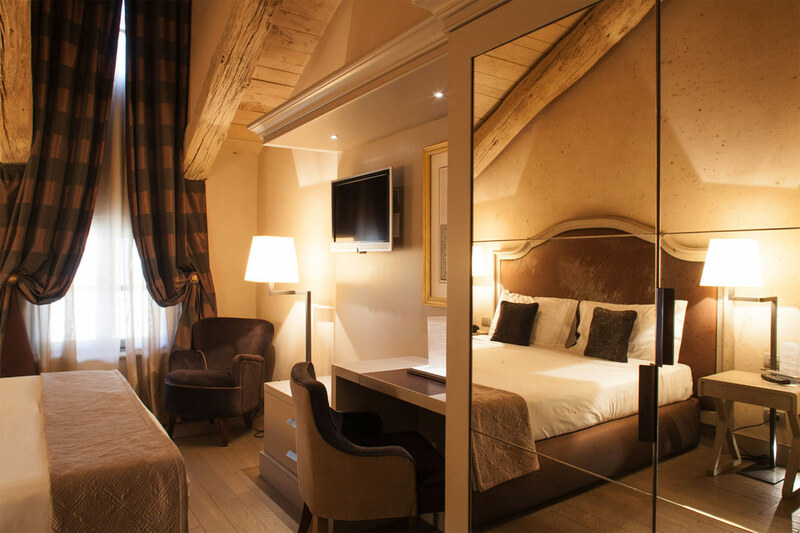 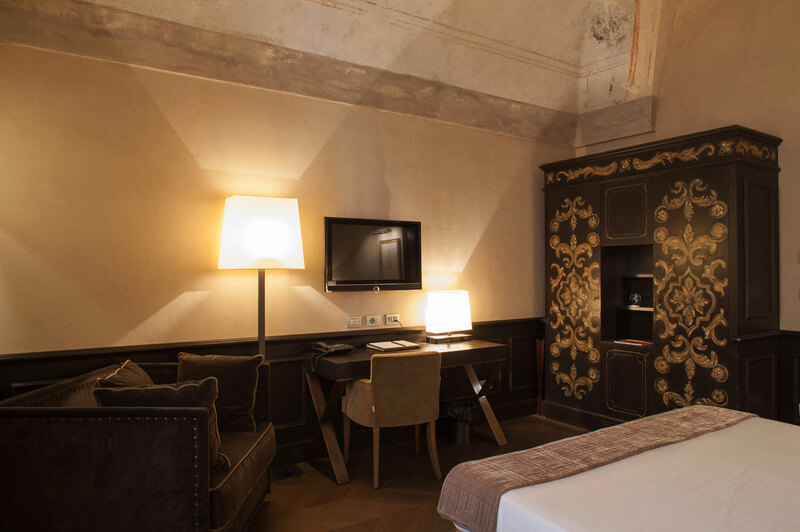 The Junior Suites of Palazzo Righini are bright and spacious, unique vintage rooms with original 17th c. decorations. 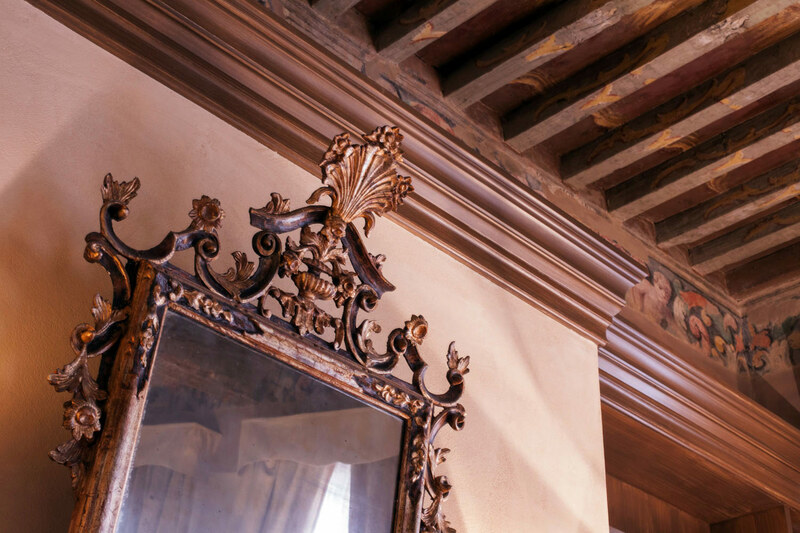 The restoration work has brought to light some of the hand-decorated ceilings and their delicate shades and colors. 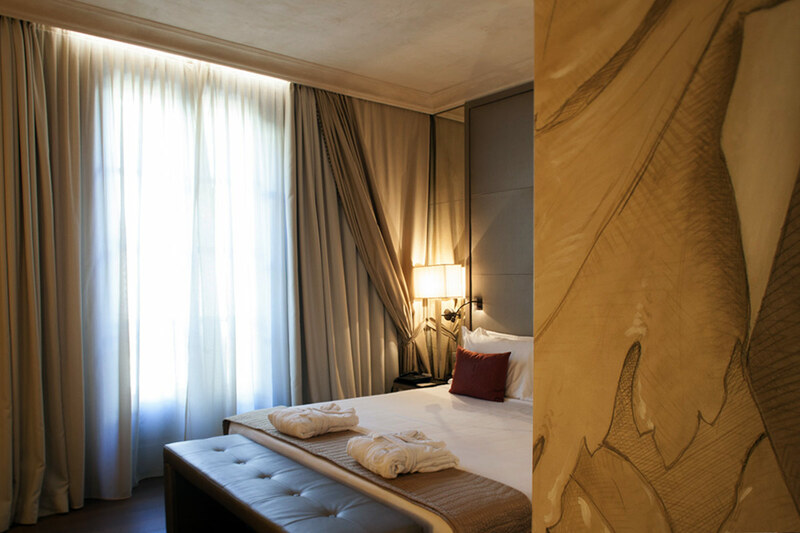 Materials and colors that have been there for centuries to enthrall barons and countesses and overhear the family legends. 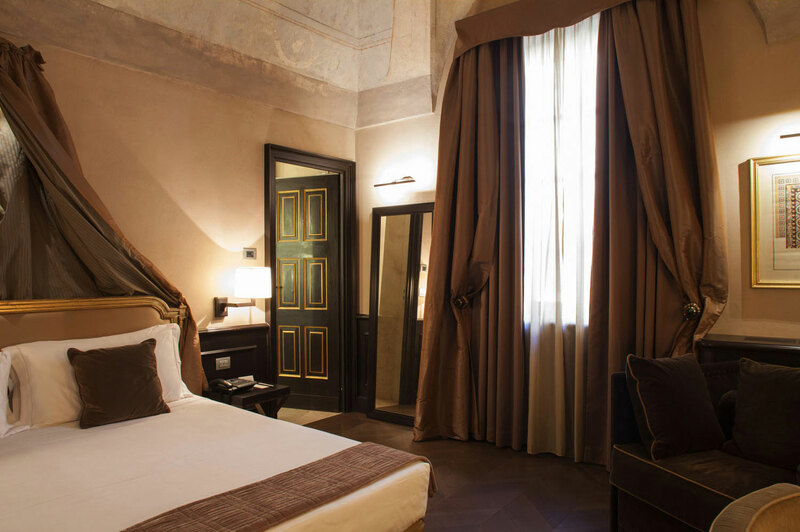 The rooms have a classic and contemporary style, accentuated by the choices of furnishings: a hint of a four-poster bed, soft niches, and details in burnished brass, precious velvets and splendid fabrics. 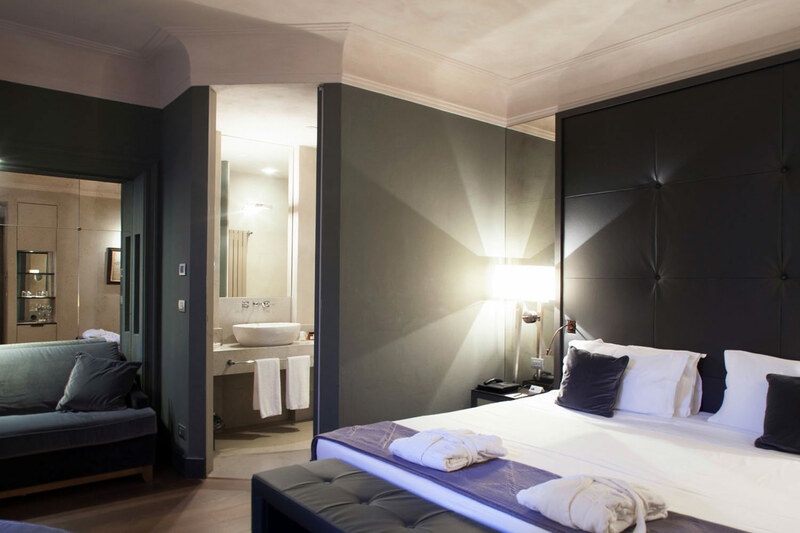 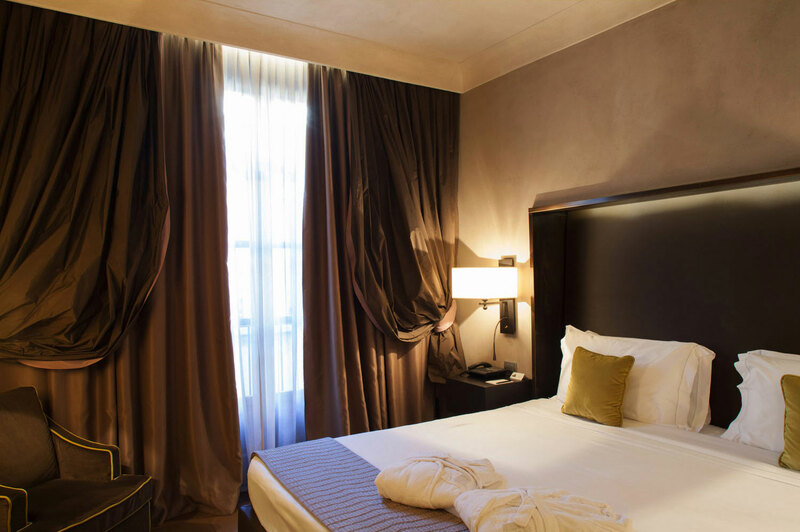 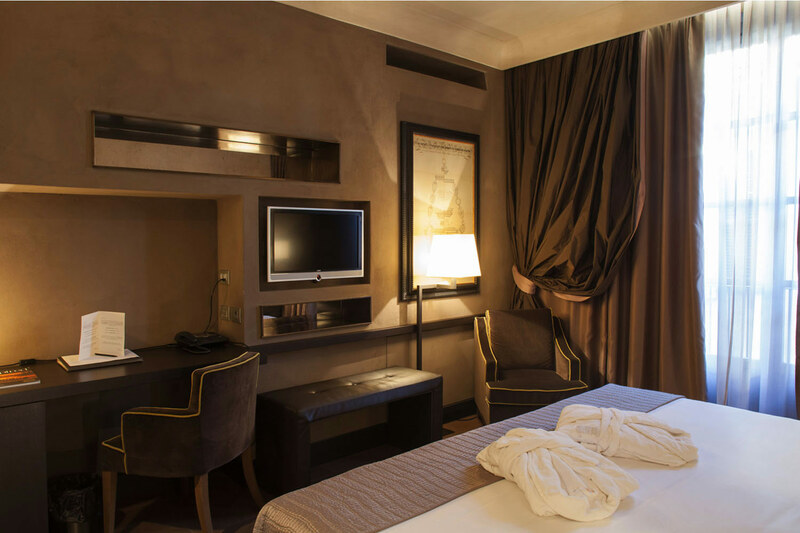 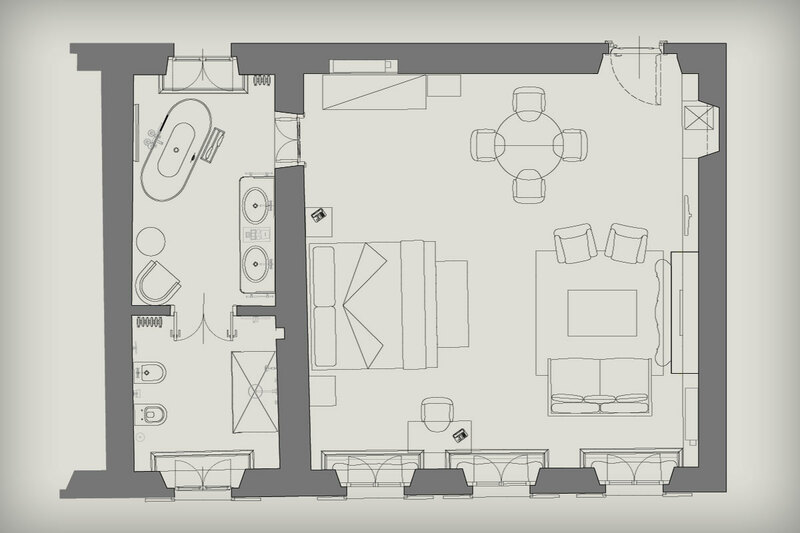 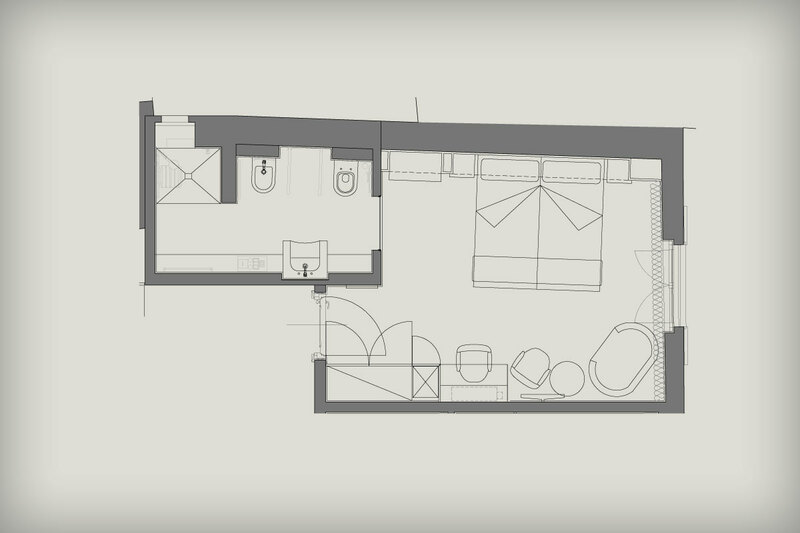 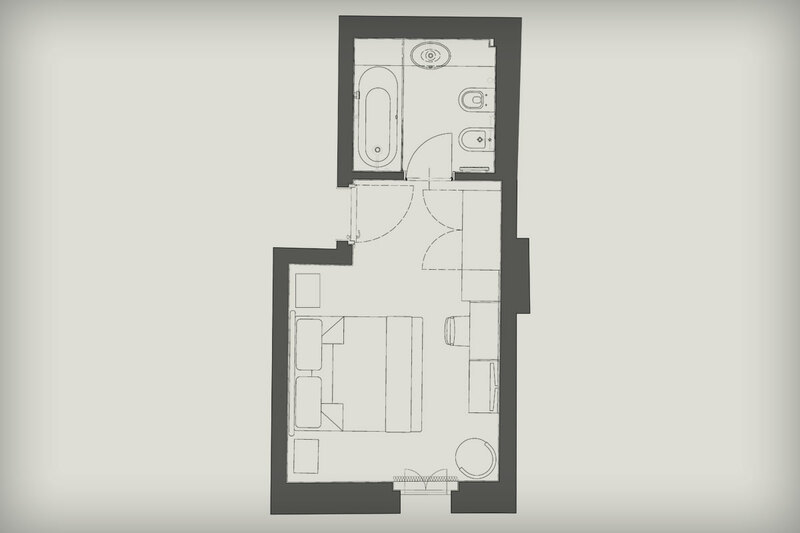 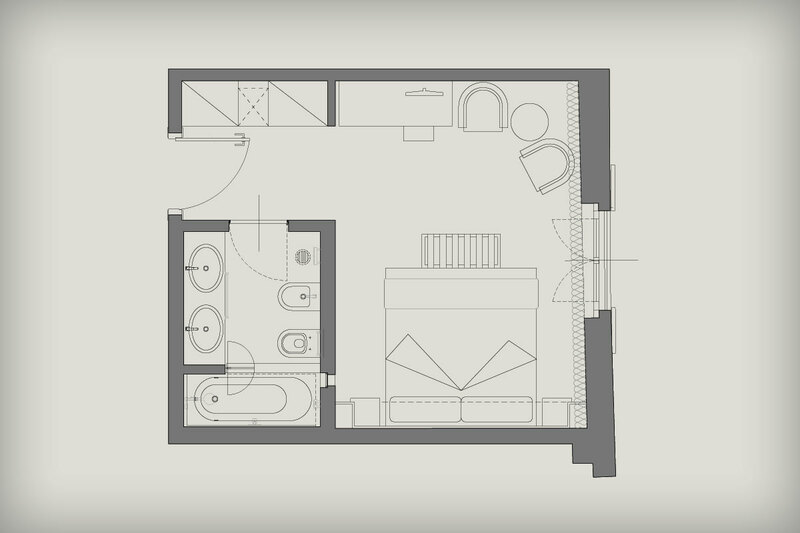 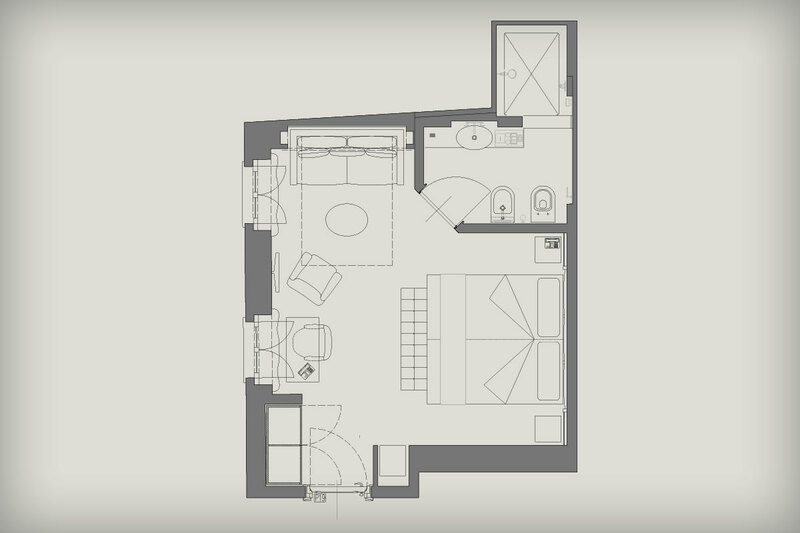 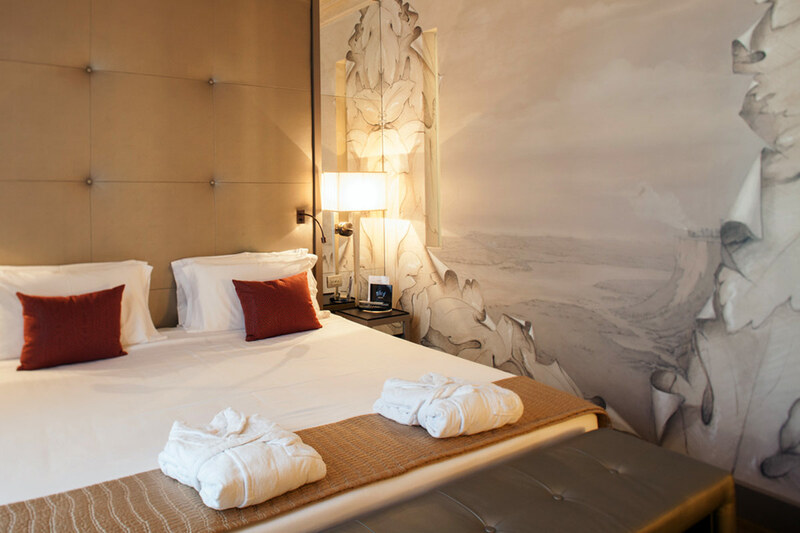 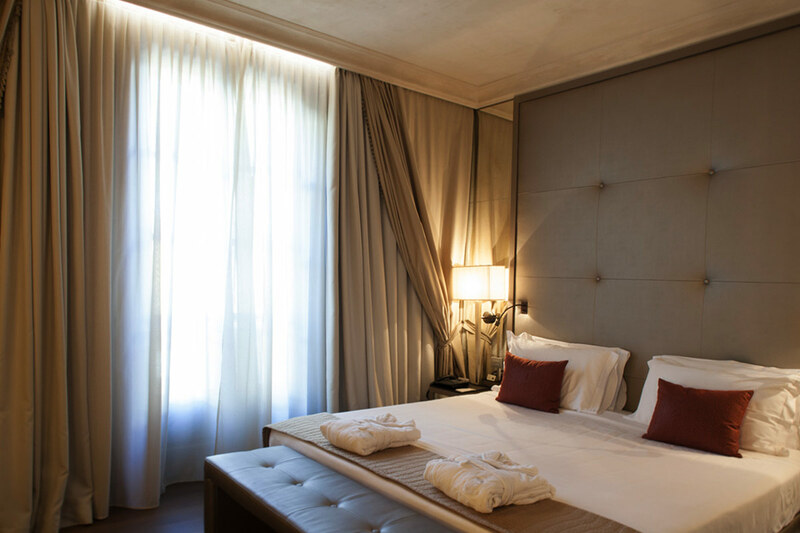 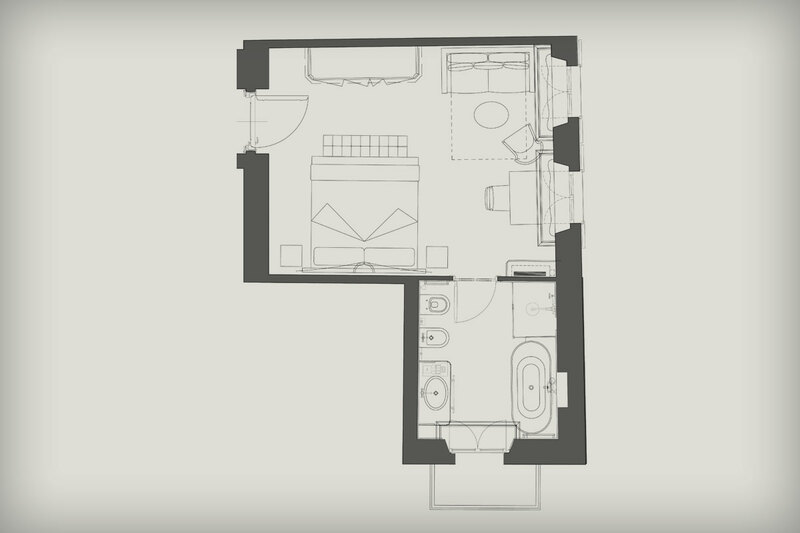 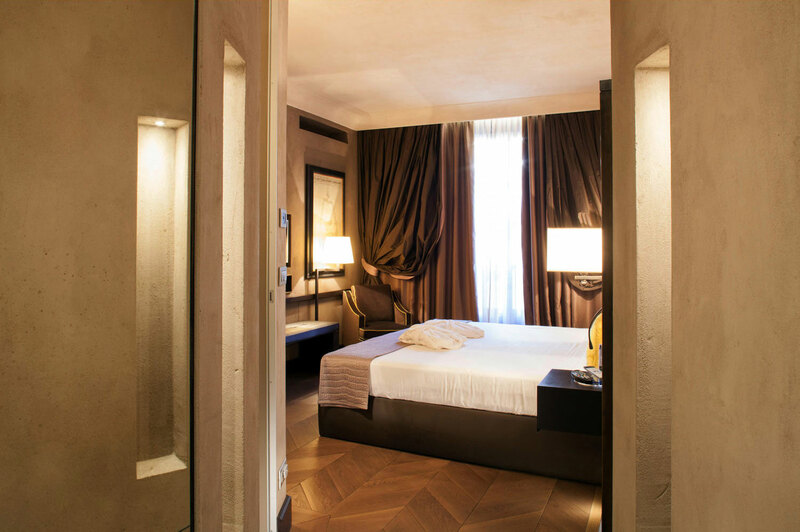 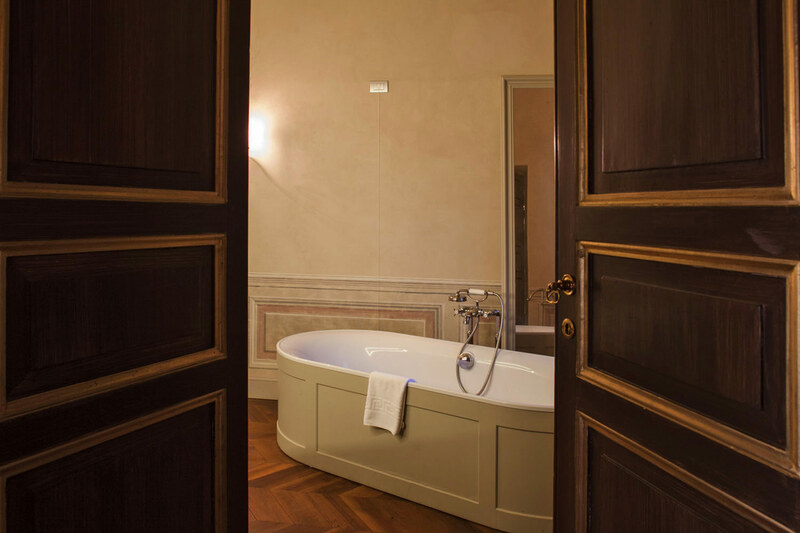 The Palazzo Righini Suite has a style of its own. 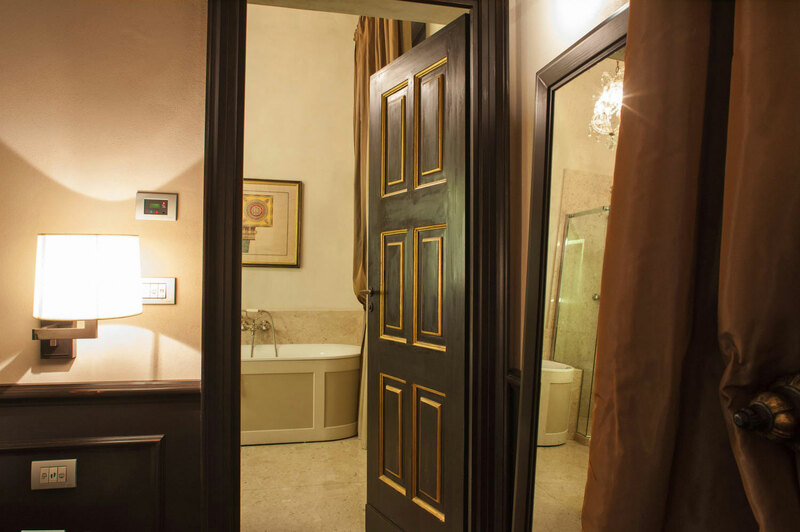 The elegance, history, brightness, and beauty of every room of this antique palazzo and something more. 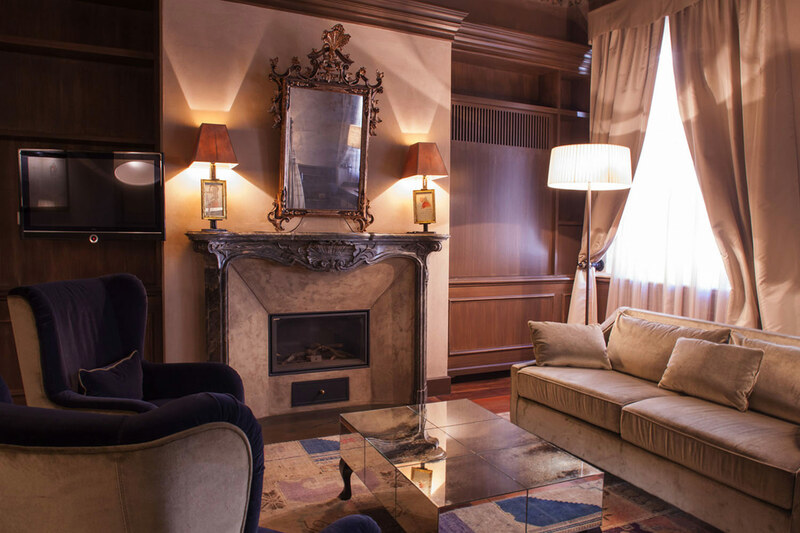 Everything is original, sophisticated and seductive. 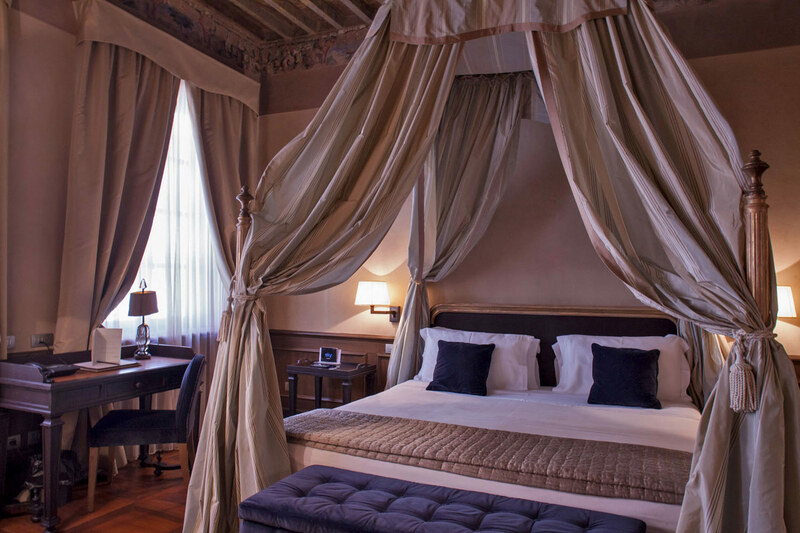 A, beautifully decorated antique coffered ceiling, a valuable antique fireplace, original flooring with hand-carved tiles in walnut and cherry, a canopy bed, like the one of nobles of the past. 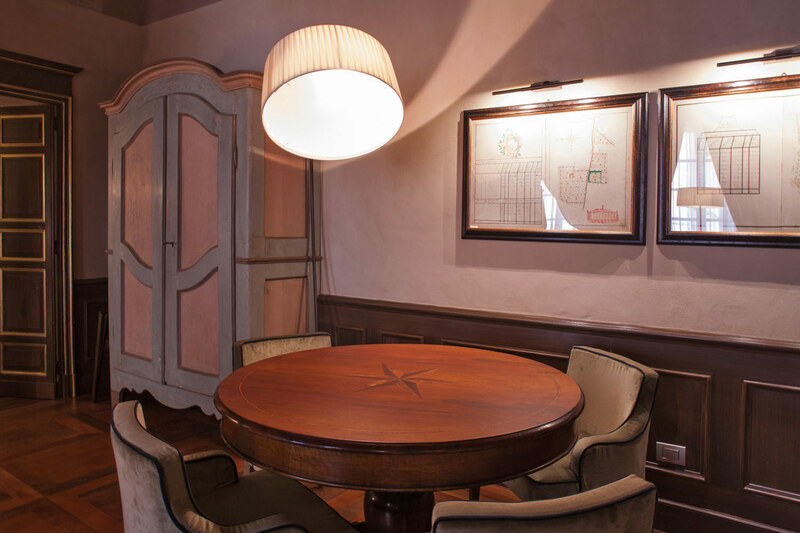 It is a marvelous and elegant room, with soft velvets, comfortable armchairs and a dining table all to itself. 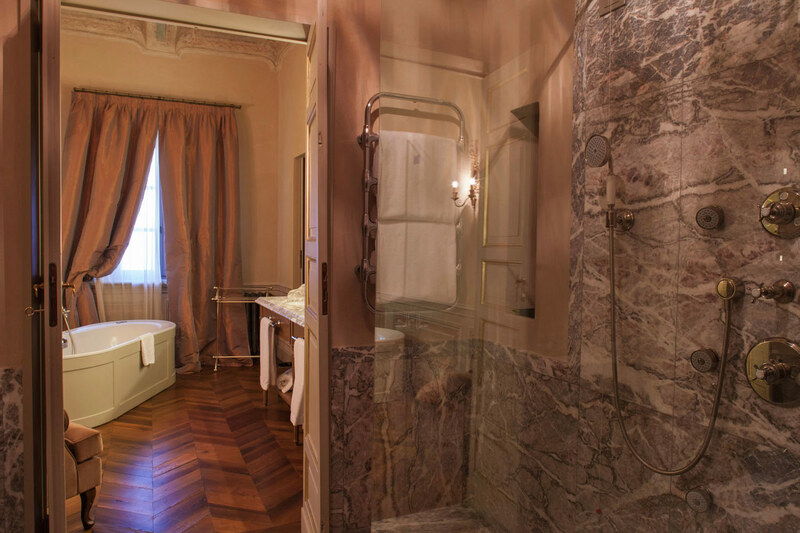 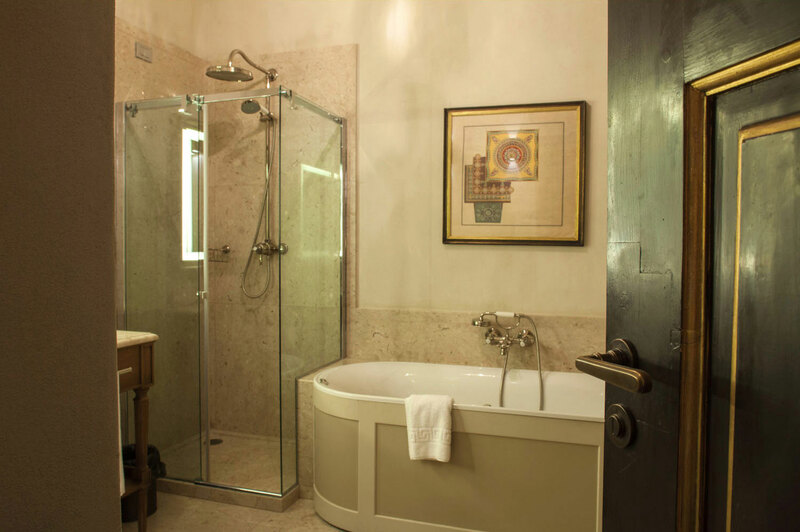 The bathrooms are precious little treasure chests, with a delicate balance of Italian marbles, warm wood grain and touches of color to decorate the ceilings. 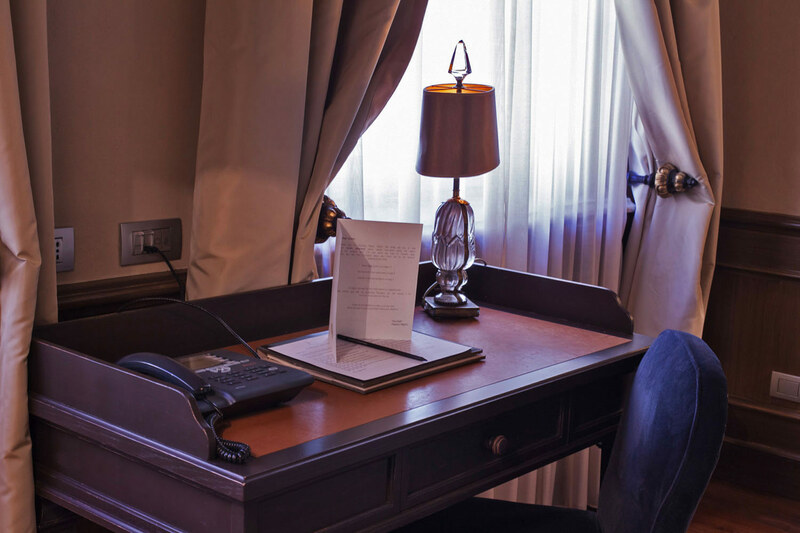 The Suite is a dream place to be pampered by history.